Paul Hawken did extensive research to calculate and rank efforts to address the crisis of climate change, and presents a beautifully illustrated and uplifting report in his book, Drawdown. He uses the term drawdown as a reference to the first year of climate change mitigation that global greenhouse gas emissions actually go down when comparing with other years – triggering the beginning of global warming reversal. It is a clear goal that addresses the problem, which he sees as absent from the conversation. Hawken’s second chapter centers on food and the consequences of how we choose to feed ourselves; (the first chapter addresses energy and strategies to supplant fossil fuel use). 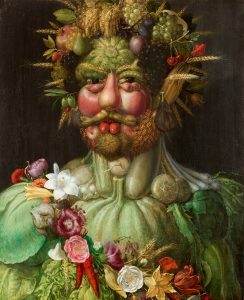 He argues that “shifting to a plant-rich diet is the demand-side solution to global warming that runs counter to the meat-centric, highly processed, often-excessive Western diet broadly on the rise today.” The Western diet is much more costly due to its enormous fuel demand, emission of methane from ruminants, and the excessive land and water demands of raising livestock. So, a plant-rich diet ranks #4 in Hawken’s systemic review. Food waste ranks number three and wind turbines, number two. Surprisingly the number one thing to address regarding climate change is refrigeration. CFCs and HFCs continue as a big threat to a warmer atmosphere. Their global warming capacity can be one thousand to several thousand times more than that of carbon dioxide. Particularly deleterious are their removal and disposal, but the potential for their reuse offers great potential for mitigation. Most uplifting is #6 on the list of climate control, which is the education of girls. Girls allowed to finish secondary school have less children, (five being the norm), and earn more money to enrich their smaller families. They reduce vulnerability to natural disasters, and break the cycle of poverty felt in their communities. They uplift everyone with their education. Women are usually the stewards of food and resources, and the heart of community life. Combine the power of their education to number seven, which is family planning, and you’ve got a powerful impact on systemic change for the good – GO GIRLS! As Hawken pointed out in a recent talk at Penn State, humans are a problem-solving species. That’s what we naturally want to do. We just have to dive right in with everything that we’ve got. We don’t need everyone to come along with us. We just need to reach the tipping point of change, creating a big enough tent for everyone eager to work towards a solution to enter. Let’s you and I be the example that we want the world to see. Talking about solutions is much more effective than trying to convince someone to change! I suggest starting with the view of your dinner plate.